There is a very good chance that you have already decided to one day become an entrepreneur, and you are just waiting for the right moment to announce your intention to the world. Well, if that is the case for you – perhaps this message will help you to make the final decision. Let me tell you right upfront something that should be said. Entrepreneurship is not something that is a good idea for everybody. Some people are just not qualified to be the boss. And others will likely never realize their dreams until they become their own leader, so to speak. If entrepreneurship is right for you, you will be able to find your way to that conclusion, but it is only likely to come from a lot of personal self-evaluations. It is not as likely to come from someone tapping you on the shoulder and telling you that you should lead them. For clearly obvious reasons, I am wanting to assume that you are that rare person who wants to become an entrepreneur and who has the personality, drive and tenacity that becoming an entrepreneur will definitely require. We all have the same amount of time each day to accomplish our goals. Whether we are working for someone else or even if we are free to do as we please, the amount of time available remains a constant for each of us. It does not matter if you are doing something that you absolutely hate or whether you are enjoying the work that you do each day. The daily time available is the same for everybody. So, knowing that, the first question to ask yourself is whether you are accomplishing what you should be accomplishing each day and if not, why not? To give you a start on answering that question, let me give you some very practical thoughts to consider IF, by chance, you really do want to become an entrepreneur. If you carefully consider these thoughts, I believe that they will help you to know if you should become an entrepreneur or not. One way to begin to understand whether you should become an entrepreneur is obtain a clear idea of what may be driving you to even consider the idea. After all, most people are not entrepreneurs. Most people eventually accept that they are simply workers and employees and most have grown accustomed to being in those situations. If you are not yet accustomed to working for someone else, that is a good reason to pay close attention to what I am about to share with you. What are the key thoughts that circulate through your mind constantly that are making you feel that you should become an entrepreneur? You feel caged most of the time. You have very little freedom to make your own decisions. Even if you have a “good” boss and a reasonable employment situation, you feel that you could accomplish a great deal more if you could “captain” your own ship. You find that you are spending a lot of time marching at the pace that is set by individuals who are forcing you to do things THEIR way. It drives you “nuts” more often than not. You may understand clearly that you have values that are different from those people around you when it comes to the importance of things outside of your work environment. For example, you may regularly place a much higher value on being able to attend your young child’s school play in the middle of the week than having cocktails with another client since that after work activity could be handled by someone else. If the idea of being able to keep your personal time promises made to family and friends is a strong motivator, then working for someone else can be extremely difficult at times. Let’s assume that you are a good, effective and efficient employee who is willing to work extremely hard and to “go the extra mile” for your employer. We can also assume that you are being compensated well for your efforts. Well, the reality of that is you have a great situation IF your hard work is appreciated and the compensation that you are receiving is sufficient and acceptable to your needs. But, what if they are not? What if you need more income and you know that your extra hard work generates more than enough profit for the company to cover your salary, but that it also generates enough to pay a major portion of the salary of some other co-workers who are not as diligent as you are? In other words, what if your personal efforts at work are generating the salaries of other workers who are basically “goofing around” most of the time. Unfortunately, you can’t do anything about that. That is one of the penalties you have to live with since you are not the boss. Suppose you are unhappy because you are forced to spend a great deal of your time in the office or in the city where your employer’s main office is located. You find that you are “locked” into that location because that is where your work opportunity is located. You will only earn your income at that job because of the fact that you are localized to that company. However, as an entrepreneur, you could have the opportunity to live wherever you wish because it would be your choice as to how and where you set up your activities. With modern technology, the idea of generating income online or in unusual outsourced ways are no longer dreams, but they are actual realities now. So, why aren’t you taking advantage of the technology and the strategies that will enable you to live where you want and to remove the income ceiling that you find yourself locked beneath? What if you absolutely know that you have talents and skills that are valuable and not just to your current employer? You have talents and skills that would be useful and valuable to people around the world if you were to simply offer your services to them. If this is true, why are you not doing it? Just as you could benefit from the assistance of others, there are many other entrepreneurs around the world who would certainly benefit from your skills. Why not help them as they help you? SDK Collaborator Group can assist you in sharing your skills with others while helping you to locate other entrepreneurs who can assist and benefit you in various ways. Do you find yourself constantly thinking about accomplishing something that is very important to you? Does this “dream” keep running through your mind and you just can’t seem to stop it from haunting you? If so, there is a strong possibility that you have this dream in your head for a reason? You have that dream because IT IS YOUR DREAM, not somebody else’s dream. That being the case, if that dream is ever to become reality – it will have to occur because you made it happen as you are the only one with that particular dream. That “dream” could very well be the legacy that you were meant to create for your family or even for the world. Is that possible? Think about it. It is possible to create a business that you love and that you are passionate about. The lifestyle that you want for yourself and your family is within your reach, but it has to be initiated by you – not others. Unfortunately, technology has the ability to open doors for your dream to become a reality, but it also opens the doors to distractions as well. For example, you could really be meant to be an entrepreneur who starts a unique business that has positive benefits for others throughout the world. Yet, as you begin to move toward entrepreneurship, you find yourself trading your current employment to simple take on another job working for someone else (example, as an associate marketer) and you become lost in the process. Now, please understand – associate marketing is a great revenue producer and is a perfectly valid way to generate income and to establish worthwhile business activities. But, if that is all that you do and if that activity becomes all that you focus upon, you hopefully will still enjoy the lifestyle that you wanted to achieve, but you are still working for someone else – in my opinion. My belief is that you must become an OWNER of something that is proprietary and that is bonded to you on an exclusive basis. Until you have accomplished that, you are at best, generating income from the properties that someone else owns. Doing so is not completely negative, there are many positives to the process. But, you are not entirely your own boss. The choice to work for someone else or to be the boss is still yours, as it should be. If you decide to take the leap into entrepreneurship, begin by creating a plan of action that makes sense to you, then gather around you allies and associates that you can help you to gain understanding and to learn proper strategy along the way. Next, create as part of your plan, several ways to deal with unanticipated emergencies and to build in several backup plans and alternative revenue sources as you begin to implement your plans and move forward. If you decide to become an entrepreneur, keep in mind that the transition from employee to entrepreneur has been successfully accomplished by many people in many different ways. You don’t really have to reinvent the wheel in all of this. You have the freedom to read, research and to review your plan and all of its details until you are completely comfortable with every aspect of your planning. Also, you can then take as much time as you may need to properly plan the transition. It is important that you give yourself the greatest chance possible to be successful and you can be successful if you plan properly. Previous PostThe Positives And Negatives Of Earning Your Living From HomeNext PostAre You Trying To Become Someone Who You Already Are? Very interesting article and change is definitely something that will happen. Yes, Darren. Change seems to always happen whether you want it to or not. Embrace change. Accept that your relationships with co-workers will inevitably change, say experts. Anticipating change is a useful skill. The larger issue is being able to maintain healthy relationships regardless of the inevitable changes that will occur. This is an interesting article. 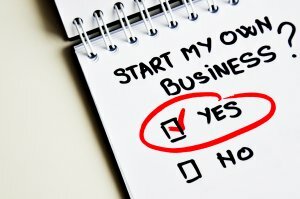 For some time I have been thinking about starting my own business. I have some ideas, but I am able to only use one of them. When I am ready to begin the business, I will refer back to this article. Thank you for writing it. We wish you to do well with your business efforts. Let us know if we can assist you in some way. I don’t think being an entrepreneur will always gives the free time to attend personal commitments . I agree that an entrepreneur will earn more than a salaried employee. But it will take some time to get a stable income and the investments may be risky too. People who are ready to take the risk can become an entrepreneur . You do have valid points with your comments. However, the decision to become an entrepreneur also involves much more. I am currently doing both right now. I have a 9 to 5 job but I also run an independent engineering firm for architects and for those who what to flip houses. During the week, I answer to a VP who hates his job and on weekends, I am a boss to 3 employees. I haven’t fully committed to my weekend job yet because of the challenges that I will for certain If I decided to go ‘solo.’ You can’t really complain about getting paid every two weeks on time. Maybe one day I will make the leap. Who knows? The experiences that you are having will be extremely useful regardless of the way you proceed in your career. For sure, there will be challenges and you are very smart to keep that in mind. Working your way up the ladder is essential for getting a feeling for the way everything works. I personally think this makes you a more rounded boss. Ive never worked for myself so cant really comment on that but i have worked my way up in my current field. Hi Sam. You make a very valid point in your comments. Our director once told us that he was taught that as long as you understood how to do certain tasks very well, you would likely always be able to find work. But, it is only after you understand why certain tasks need to be done will you be ready to become the boss. So, with your work experience growing, you are well on your way. I have done it both ways and it is certainly easier to work for someone else. There is always a need to see if you can do it on your own but the reality is that it is not for everyone and there is no shame in finding a job boss and working for them instead! Jim, that is very true. Not everybody should be “The boss”. Likewise, there are people who are much more effective when they become the boss. Each person should be comfortable and accepting of their role. Keeping in mind the complete picture of what you want to contribute to society with your business and how you want your life to be structured along with it. That is a valid way to view your efforts. It is always worthwhile to see your role as it relates to others.